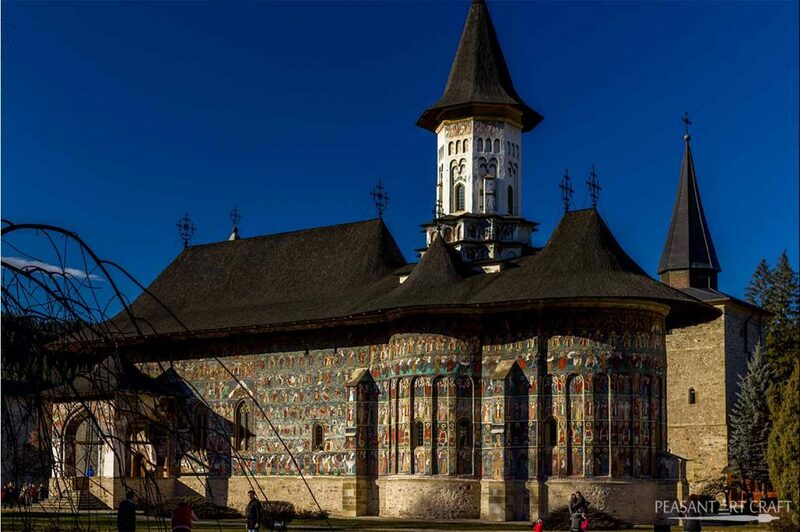 Much of the charm and splendor of Maramureș lies into the heart of the villages, where massive carved traditional wooden gates guard robust traditional houses of yesteryear. The abundance of timber has driven interest in woodworking among men, who have practised traditional wood crafts and shake roofing for generations. Wood is the most important material here, in the Carpathian Mountains. The wooden houses with shake roofs, built to look part of the natural surroundings, compose a magical village scene. Though the dream of the modern world was embraced by some locals, who prefer concrete homes and tiles to old style wooden houses, many are bound to the principles of the village life, such as preserving and passing on the beauty and integrity of the local culture. Therefore, the needs for traditional master craftsmen are increasing, especially those who specialize in shake roofing. An eye-catching detail is the shake roof, which gives the house a rustic look. But authenticity is fueled by efforts to seek out the best material and create each piece individually by hand and no one knows better than woodworkers like Ioan, who makes 1000 pieces a day. Although the number of wooden shakes needed varies, let’s say an average of 40000 shakes should be enough for roofing a homestead. Which means it takes over a month to finish making the amount of shakes needed. He starts with picking the right wood. In Maramureș, spruce is one of the traditional woods for shakes. It is a light, easy to cut soft wood, featuring a straight grain. The log is peeled and cut into smaller sections (shake bolts – șponturi). Then, it is split along the grain with a special straight bladed tool, called a froe, and a mallet. Splitting along the grain is important because it lets rain water runoff easily. The result is an thin oblong piece of wood, of 23” (60 cm) and random widths (4-6” approx 10- 15 cm). The oblong form (dranița dreaptă) is an archaic classic cut, but other shapes may also be encountered, such as the latest fashion dranița cu colț (tailed shakes). It is split green and treated with heavy fuel oil to prevent woodworms attack, then let dry outdoor in shakes form for 2-3 months. 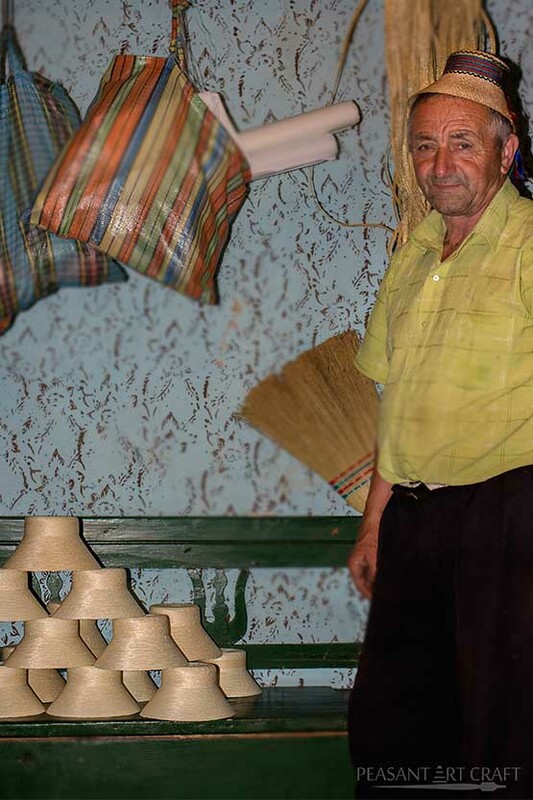 In the Vadu Izei village, woodworker Mihai Bledea is re-roofing a restored house, installing shakes in overlapping rows. But before roofing, he boils the shakes in a container with hydraulic oil to increase the strength.